Renovaid Team is one of the emerging Tempered Glass and Glass manufacturer and supplier in Singapore. Renovaid Team has our owned Glass Factory in Singapore ensured that all our glass products are produce according to local standard. 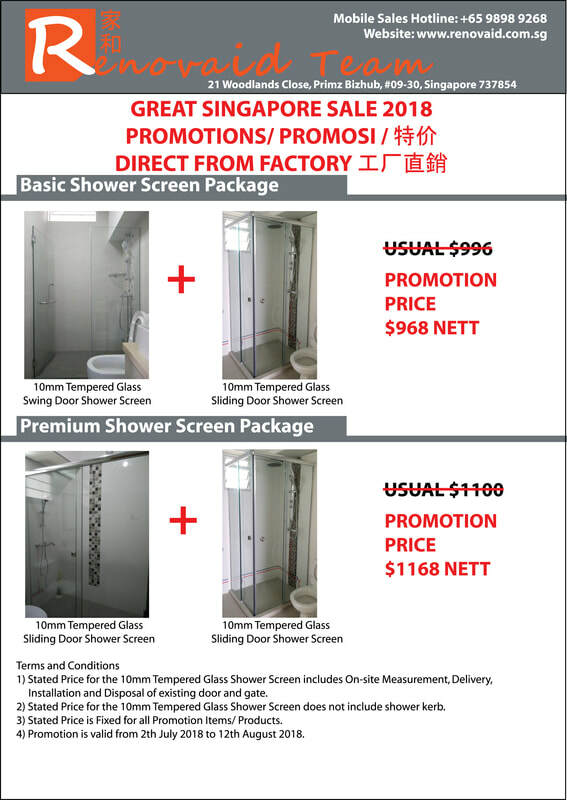 Renovaid Team offered commonly use Tempered Glass and Glass products like tempered swing glass door, tempered sliding glass door, clear/ tinted mirrors in bedroom and bathroom, tempered glass for staircase, tempered glass shower screen, glass window, glass backing and glass table tops etc, at direct factory price. Renovaid Team has also completed numerous Tempered Glass and Glass related projects for HDB BTO Flat, HDB Resale Flat, Condominium and Landed properties in Singapore.